Sean Rafferty's guests include conductor Alpesh Chauhan and the Schubert Ensemble. 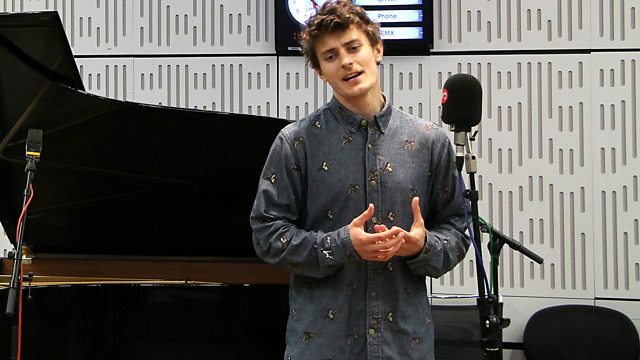 Plus countertenor Jakub Jozef Orlinski and pianist Michal Biel perform live. Director: Jordi Savall. Ensemble: Hespèrion XXI. Performer: Jakub Józef Orlinski. Performer: Michal Biel. Orchestra: Polish Chamber Orchestra. Conductor: Mariusz Smolij. Panufnik: Homage to Polish Music. Music Arranger: Alexander Glazunov. Performer: Baiba Skride. Orchestra: City of Birmingham Symphony Orchestra. Conductor: Andris Nelsons. Orchestra: BBC Philharmonic. Conductor: Alpesh Chauhan. Performer: Pablo Ferrández. Orchestra: Stuttgart Philharmonic. Conductor: Radoslav Szulc. Performer: Ray Chen. Orchestra: London Philharmonic Orchestra. Conductor: Robert Trevino. Performer: Ben-San Lau. Singer: William Wallace.